December 13, 2018 – By Nadia Ross – Every time I mentioned that I was facilitating a panel on the stunning re-birth of the contemporary library and what we, in the oh-so dour performing arts industry might learn from them, people would reply: “yeah, libraries are where the cool people hang out”. How did libraries go from being silent, monastic, privileged, towers of mostly white knowledge to becoming vibrant midwives of spontaneous, synchronistic experiences? And what can we, in the performing arts world learn from them? It’s important that we find out because, if some of the recent large statistical surveys are right, attendance at performing arts venues is on the decline while libraries are as trendy as ever and they are seen as critical to quality of life. 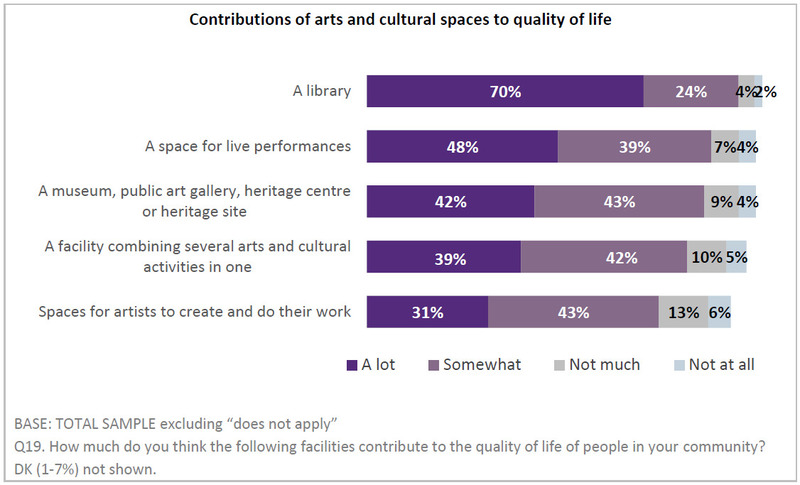 Source: Environics Research, Arts and Heritage Access and Availability Survey 2016-2017. In an effort to spur necessary discussions, CAPACOA presented “Meanwhile in Other Spaces: New Modes of Engagement in Libraries” as part of their 31st conference and invited Vancouver Public Library Director of Library Experience Dawn Ibey and Halifax Public Libraries’ CEO and Chief Librarian Åsa Kachan to share with us the story of how some libraries are going from the brink of extinction to becoming multi-million dollar cultural hubs of social capital and human connectivity. 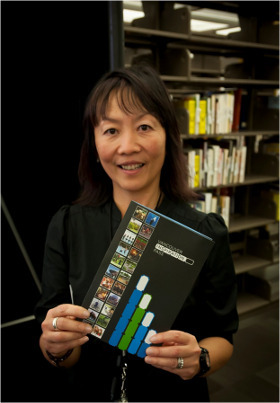 Over a ten year period, library attendance had consistently declined, reported Dawn Ibey. As she put it: “we were in the information business and now people carry information in their back pocket”. The digital revolution was such a total disrupter for libraries that only taking big risks could save the library’s place in the hearts and minds of the people. After many small adjustments and tinkering with the model that yielded little result, they did a radical thing: they changed their relationship to things and people. No longer simply ‘information services’, libraries transformed themselves into community-engaged sharing and storytelling institutions. Dawn: “Our community are the storytellers and we are the collector of those stories. Gathering and sharing stories is what we are about. Libraries are a free place for everyone to create and share ideas for everyone”. To change relationships, they had to change the rules. In order to become new, they had to give some things up. Åsa: “We were in the business of putting items categorically on a shelf. Our diligence was once our strong suit and it was now getting in the way … (or)…We know that fines don’t work and they don’t take into consideration differences in privilege. We had to give up some of these things which we held dear”. A big shift began when they removed the concept of having an information desk right in the middle of the library. No longer would a Knowledgeable Person sit behind a Big Desk who you would approach quietly to ask your question to, librarians were set free to roam the building and build relationships with their community. In this move, they had succeeded in shifting a subtle but critically important power dynamic that had been at the backbone of library culture for a very long time: that you need a centralized authority to hand over knowledge to you. Dawn: “It wasn’t an overall failure but it looked like it. We had to ride the wave through the storm … It would have been a failure if we had bowed to that pressure to revert to the way it was”. The Vancouver Inspiration Pass is a free cultural and recreational pass program that allows families and teens to get out and explore their city in a whole new way. As all real transformations are rarely easy, persistence was key. Libraries are now in the business of building social capital, and one of the ways they do that is by leveraging partnerships that allow them to do programming that celebrates the diversity within the community. Essentially, by changing their rules, libraries are now free to build new kinds of relationships. 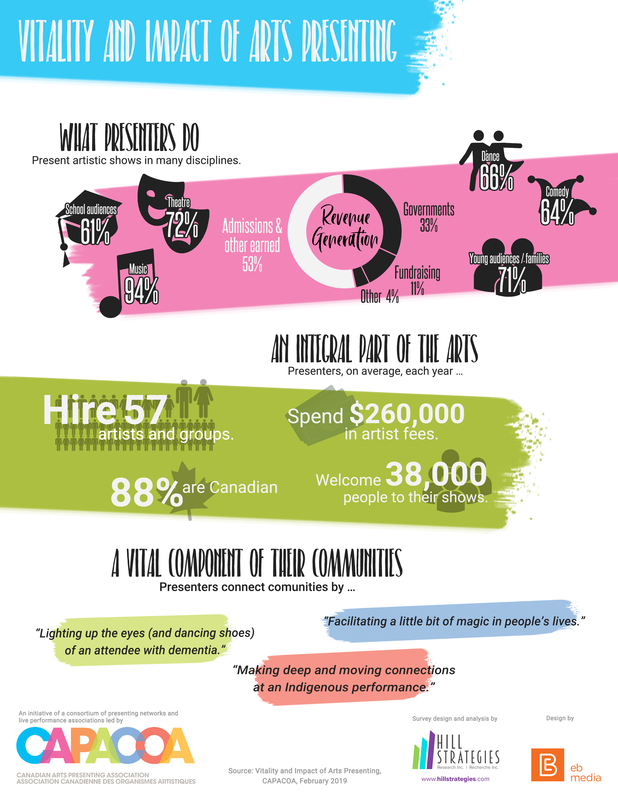 And certainly they want to form relationships with the performing arts, as they have space for them in newly designed multi-million dollar buildings in Halifax, Calgary and Vancouver: from recording studios to stages, cafes to residency space, libraries are covering large cultural territories and continue to add new ones. Åsa is optimistic: “If libraries and the performing arts can get it right, we will reduce health costs in our communities”. To move forward, libraries got rid of the things that had previously been their pillars. So, to end our session, we asked the gathering of delegates what pillars were holding the performing arts back. Statistics tell us clearly that representation matters – a lot. So does income, family status and location: access matters. Barriers are built into the very fabric of things, so nothing can remain unquestioned: who said shows had to start at 8:00 pm? Why do we still have box offices? Why can’t we just walk into a space and buy the seat in front of us on our mobile? Why do we have to behave and be quiet? Why can’t we take pictures? Why are performance spaces inaccessible to the public except for a few short hours on some evenings? Why is it so challenging and uncomfortable for families and single people to attend? Why can’t we eat in the theatre? Why can’t we all be onstage? The questions keep going all the way to the validity and relevance of the professional artist itself: who gets to play and why do they get paid for it? And that, at least, is something we can all relate to.